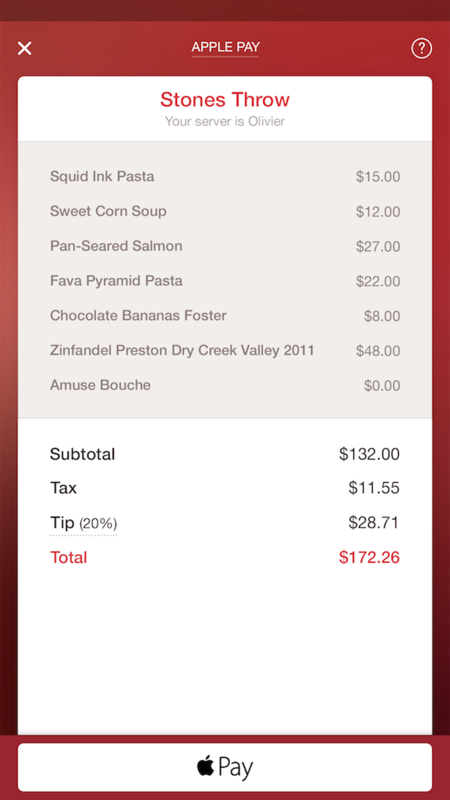 We are pleased to announce that diners with an iPhone 6 or iPhone 6 Plus and iOS 8.1 using the Pay with OpenTable mobile payments feature can now settle the check using Apple Pay. Pay with OpenTable is currently available in New York City, San Francisco, and Washington, D.C., and we plan to roll out the feature across the nation by introducing it to a total of 20 cities before year end. 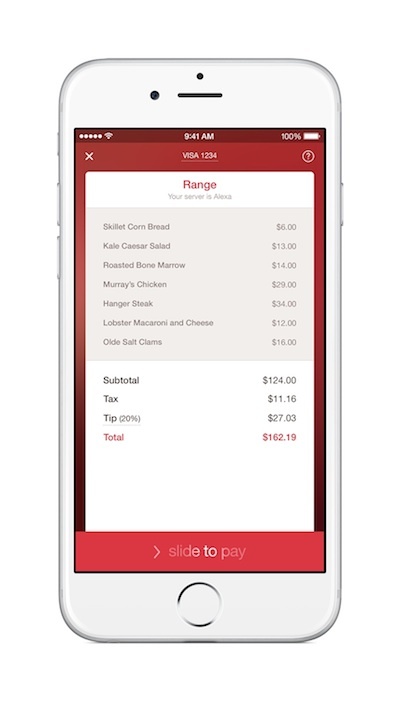 To find out more about OpenTable mobile payments, watch “Life’s too short to wait for the check” and visit //pay.opentable.com/ to view the current list of participating restaurants. Restaurants who are interested in providing their guests with the experience of paying with OpenTable can learn more at //pay.opentable.com/restaurants. 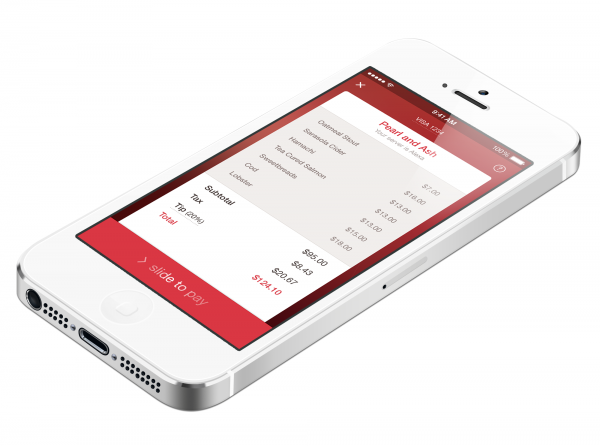 Diners can now use OpenTable mobile payments to settle their check at participating restaurants in New York and San Francisco, and, soon, in 18 additional cities before the year’s end. Can’t wait to try it out? See the app in action in our new video. For additional information about mobile payments and to view the current list of participating restaurants, visit //pay.opentable.com/. If you have a restaurant and are interested in providing your guests with our mobile payments experience, you can learn more at //pay.opentable.com/restaurants.